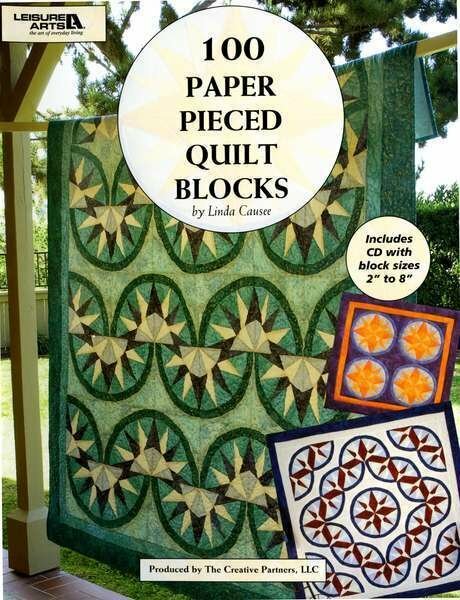 If you love foundation piecing, you'll love this book and CD. The days of standing at the copier making copy after copy are over! Just pop the handy CD into your PC, select a block and print the copies you need at home! With 100 different blocks to choose from, the hardest part is choosing which one to work on first. If you have never tried foundation piecing, where every piece meets perfectly, now is the time to try it. You'll be amazed at just how fun and easy it is to create perfect blocks!